Image 7346288: Abstract city plan. 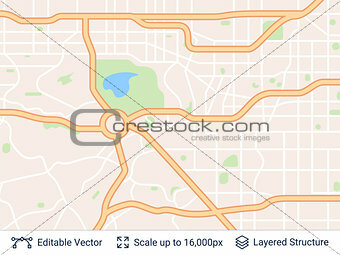 Image Description: Generic city map of imaginary city. Light colored vector illustration.